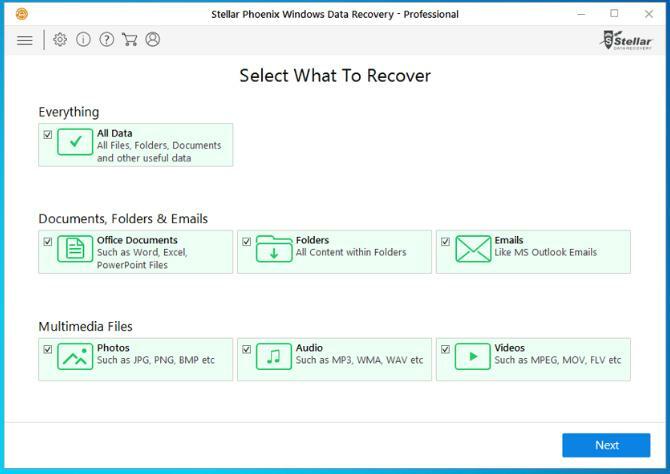 Stellar Phoenix Windows Data Recovery Professional is one of the most popular, globally acclaimed data recovery software available for Windows 10 platform. The tool is also backward compatible with all Windows operating system up to XP. 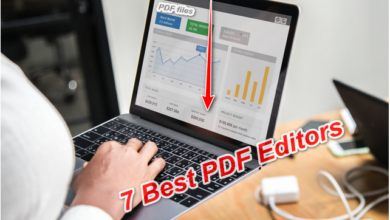 The Professional Edition of the software with its latest Version of 7.0 has new and enhanced interface and a powerful data recovery engine to recover lost and deleted data. 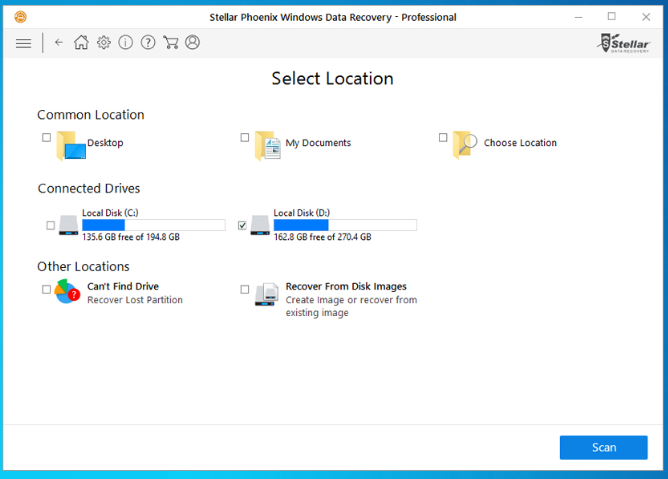 Stellar Phoenix Windows Data Recovery Professional – Overview. 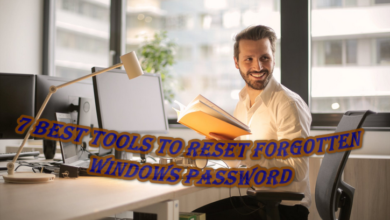 This nouveau software helps to get back missing multimedia files, documents, emails, and other data from a Windows operating system or any other connected storage devices including Hard Drives, USB Flash Drive/Pen Drive, Solid State Drive (SSD), SD Memory Cards or optical drive. The user-friendly wizard of the software makes the recovery process seamless and quick to accomplish the task. Select – When the software opens, the first screen of the wizard requests users to “Select What To Recover”. Here you can accept the default selection of Everything (which recovers all data including all files, folders, documents, and other useful data) or check the required types of data such as Office Documents, Folders, Emails, Photos, Audio, or Videos. Once you made a suitable choice, click Next. Figure: Select What To Recover. The next screen requests users to “Select Location”. Here you can specify the location from where you need to recover data. 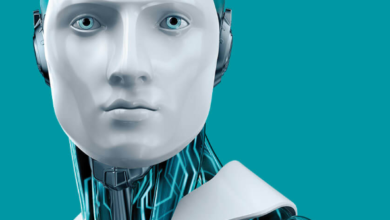 To facilitate the selection process, the wizard segregates locations as Common Location (Desktop, My Documents, and Choose Location), Connected Drives (lists internal and external connected drives), and Other Locations (Can’t Find Drive and Recover From Disk Images). Scan – Click Scan to scan the selected location. Use Deep Scan for in-depth scanning. The wizard displays the scan in percentage and curved progress bar format together with other scan information such as Looking In, Scanning Status, Files Found, Time Elapsed, and Time Left. The wizard allows you to Turn On/Off Preview, which renders images during the scanning process. In case you need to abort the scanning, click Stop. Recover – The wizard lists the scanned items in File Type, Tree View, and Deleted List; choose the one you like. Expand the items and preview the recoverable files to verify its accuracy. Once satisfied with the result you can check the files that you need to recover or simple use the default selection of all files and folders and click Recover. Browse the destination and click “Start Saving” to save the recoverable data to the specified location. 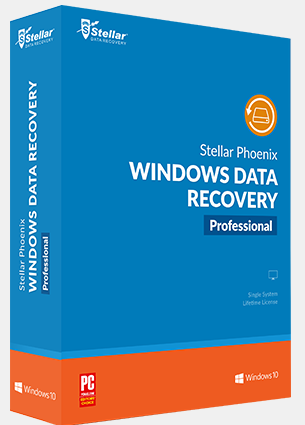 The one-time cost of purchasing a single license of the Stellar Phoenix Windows Data Recovery Professional Version 7.0 is $99. 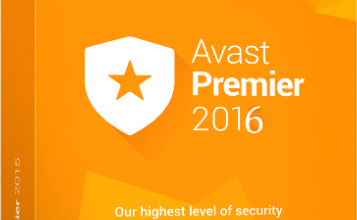 With this competitive price, you get lifetime license validity, unlimited data recovery, and 24X5 free technical support. 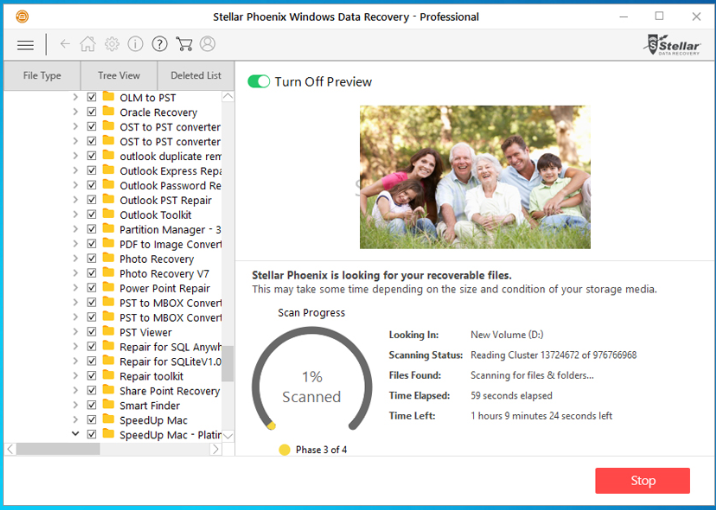 You can click here to download this data recovery software on your Windows or Mac computer. 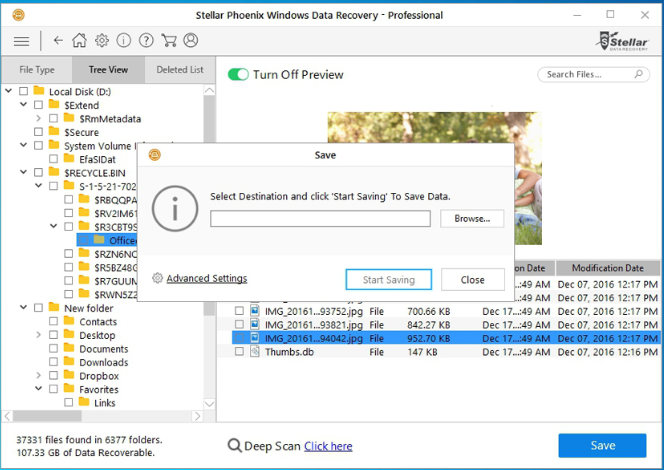 After getting a hands-on experience with Stellar Phoenix Window Data Recovery Professional, we found it to be a perfect data recovery companion for all Windows users who wish to recover their lost data with ease. All you need is to Select, Scan, & Recover. Also, remember to save the recoverable data to a different drive location to avoid overwriting. We recommend the software to individuals as well as organizations as a recovery solution to tackle any kind of data loss situation.